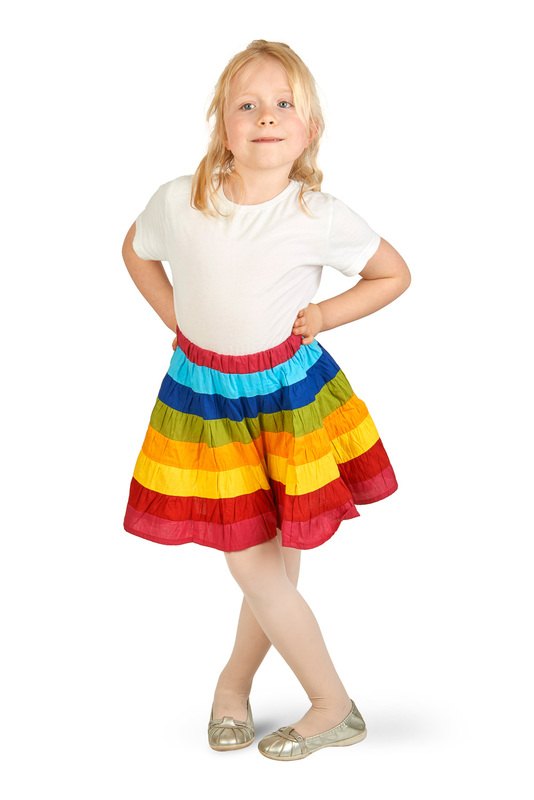 Imagine your little girl in this magical children's rainbow skirt? It's made with love and attention to detail in exotic Nepal, by people who surround themselves with vivid colour in every aspect of their lives. Why not bring some Nepalese verve and vibrancy into your child's life? 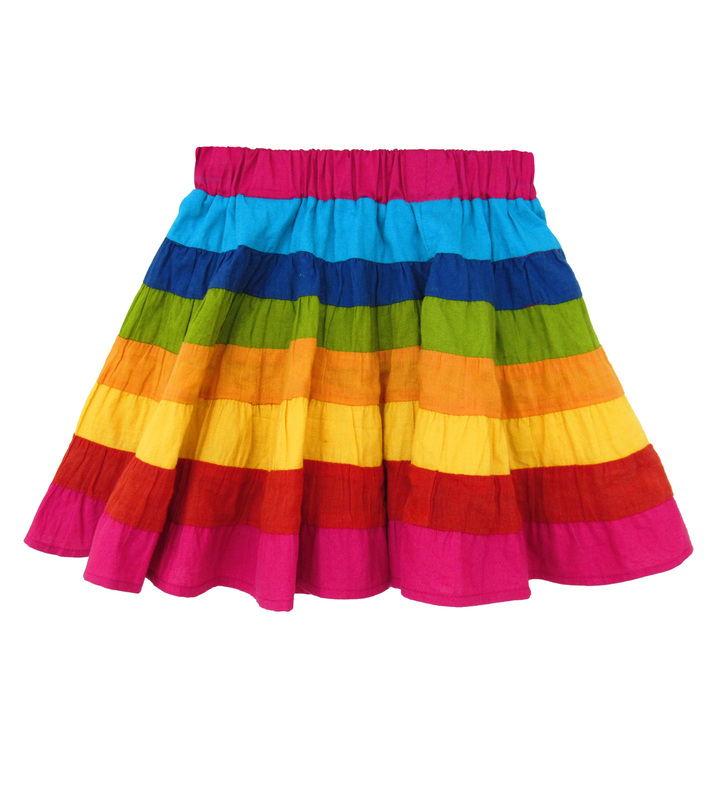 It has layered tiers of bright rainbow fabric, skilfully stitched together. There's a comfortable, easy-to-wear elasticated waistband for a good fit. 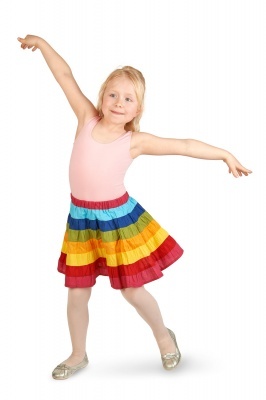 And being multi-coloured they can wear it with anything they like, any colour they like – after all, nothing clashes with a rainbow! 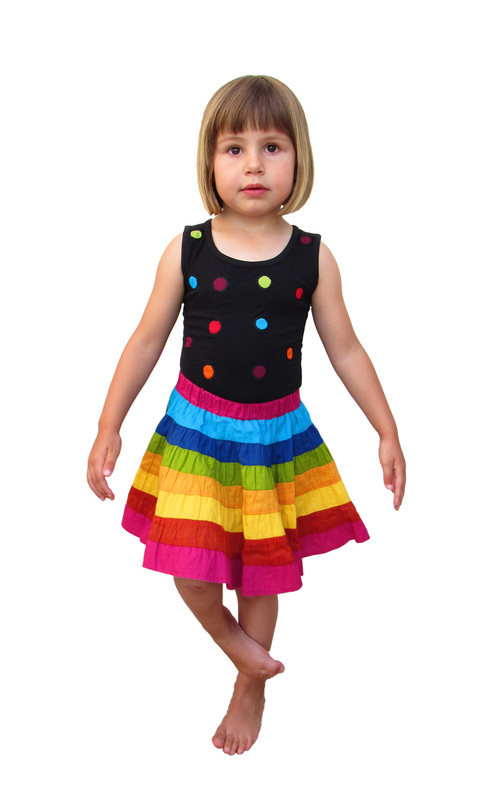 Size 2 - 4: waist 16"- 24", length 11"
Size 4 - 6: waist 18"- 26", length 12"
Size 6 - 8: waist 20"- 28", length 13"
Size 8 - 10: waist 22"- 30", length 14"
Size 10 - 12: waist 24"- 32", length 15"